The arrival of Spring means it’s time to add some color to your environment (houseplants and flowers, anyone? ), as well as your plate. 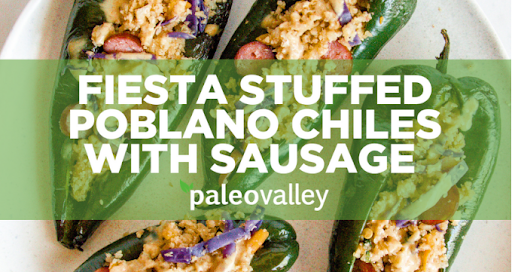 These stuffed poblano chiles do just that. 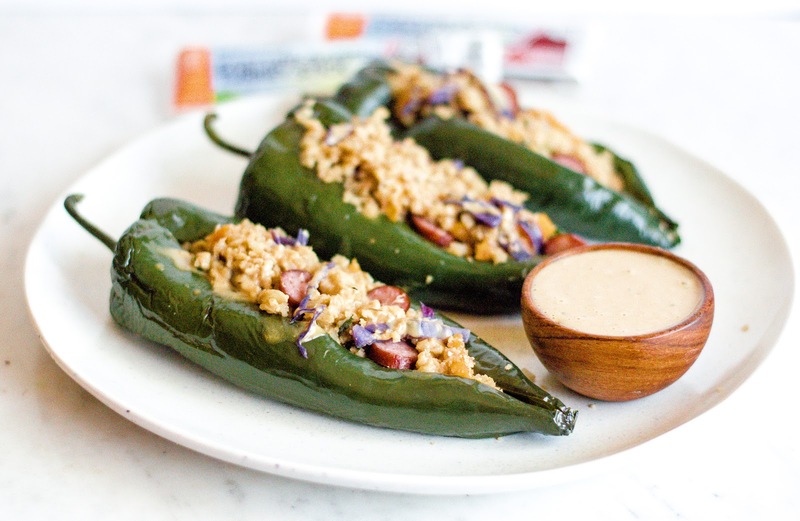 Filled with confetti-colored veggies like cauliflower, peppers, carrots, and cilantro, and drizzled with a savory chili-almond sauce, they quickly add a bit of pop and spice to your next dinner. 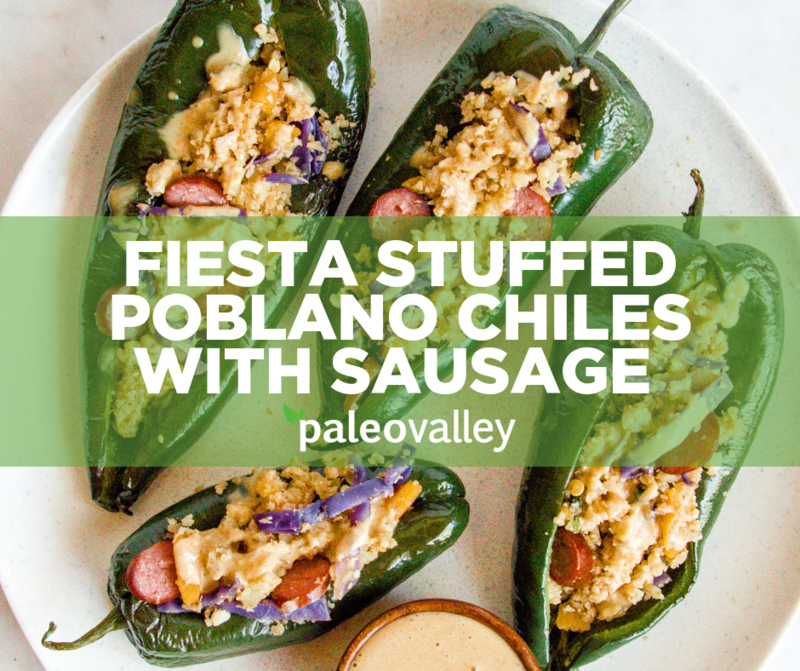 Paired with our pre-cooked, Pasture-Raised Turkey Sticks that quickly sub for sausage, these chiles also take less than an hour to prepare, making them an easy weeknight option that only looks complicated. To pre-roast poblano peppers, preheat oven to 425ºF. Rub all sides of poblano peppers with olive oil. Roast for 8 minutes, turning once. Remove and place in a heat proof bowl and cover with a lid for 10-15 minutes (this makes it easy to peel the skin). Slide off the outer skin. Slice the pepper down the middle and carefully remove the seeds. Set aside. Add onions, peppers, and garlic to a saute pan with olive oil and saute until translucent and fragrant. Stir in purple cabbage, cauliflower, spices, salt, and sliced sausage. Saute for 6-7 minutes. Remove from heat and scoop the mixture into each pepper. Stir chili powder into almond butter with a tablespoon of almond milk until well combined. 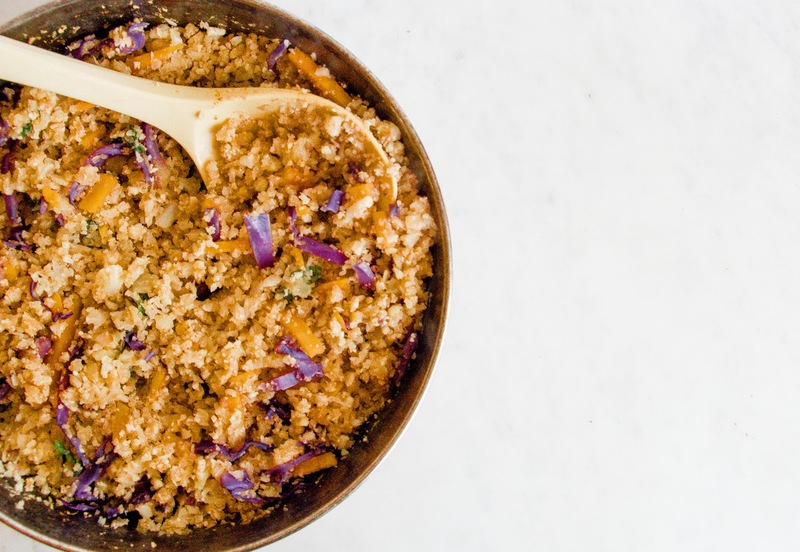 Remove chiles and drizzle with almond butter dressing. Serve. 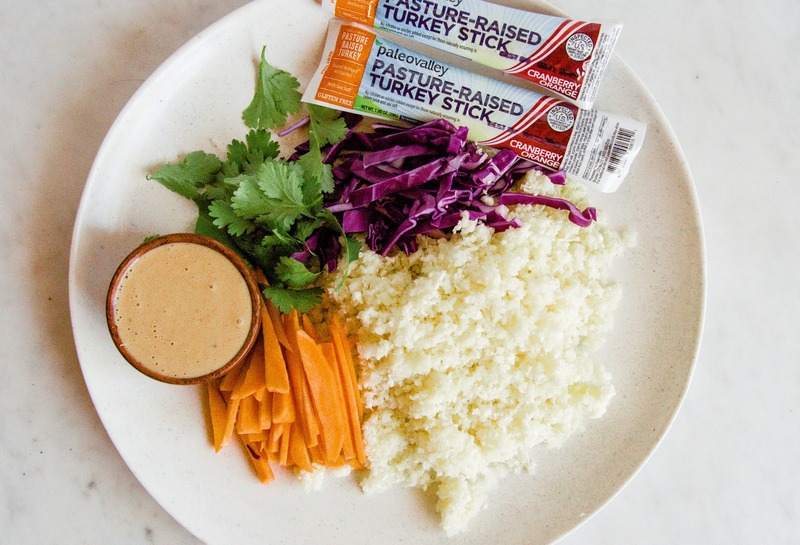 You’ll find that our Pasture Raised Turkey Sticks make an excellent substitute for sausage, especially when you need a quality meat that doesn’t have to be pre-cooked. Grab a few HERE for your next easy meal, or even to simply snack on.